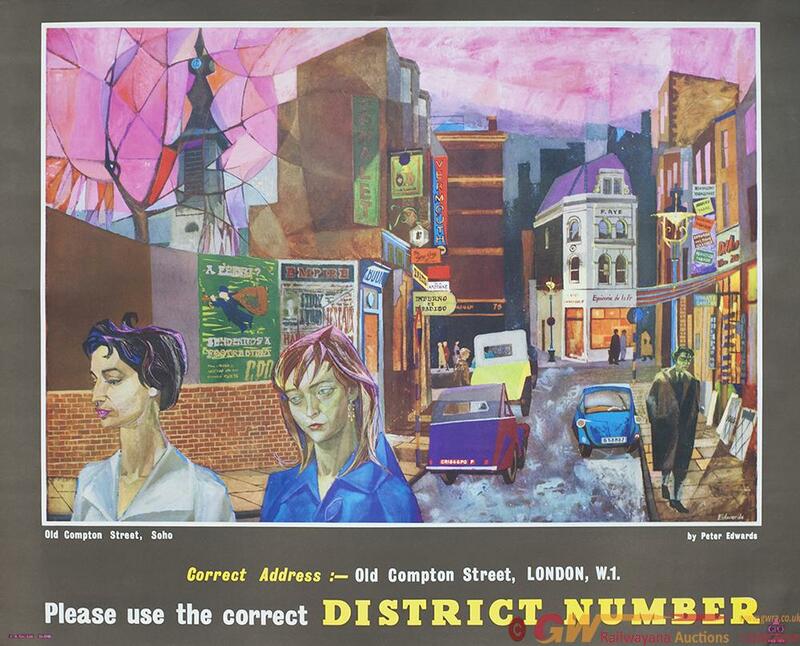 Poster GPO OLD COMPTON STREET LONDON W1 by Peter Edwards. Measures 36in x 29in. The poster dates from the 1960's as a Bubble Car forms part of the view. Printed by J & Co Ltd, in excellent condition.